For more information on towable and commercial generators, contact South Shore Generator in Wareham, MA. Check out this video of Kohler's industrial power generators in action at a wastewater treatment plant in the US. When tens of thousands of people rely on you for drinking water it is imperative that the water treatment plant stay up and running. Back up power is essential for facilities such as water treatment plants, without it, they can't run their facility. For further information on reliable industrial back up generators, contact South Shore Generator in Wareham, MA. Comparing configured versus standard generators is like comparing apples to oranges, it can’t be done. They are different and they are different for many reasons. Some facilities and applications can use essentially “off the shelf” generators, like our Protector Series. These generators raise the bar for light commercial standby units with performance and reliability as well as ease of installation. 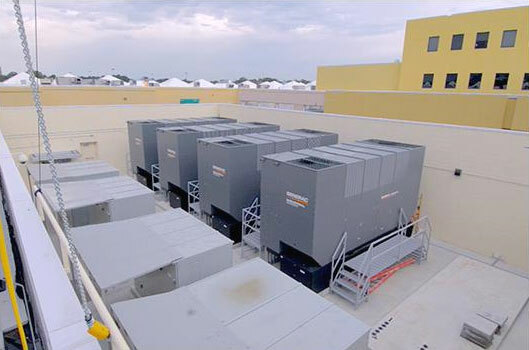 Generac has found, however, that most large commercial and industrial applications have unique needs requiring custom specifications. This may include factors such as the electrical or fuel requirements of the generator – or the installation location—on an outside pad, indoors, parking garage, or up on a rooftop. And in many cases, a generator system may need to be configured to meet specific noise requirements, or NFPA code requirements. Fuel choices are now playing an even greater role…while diesel has been the traditional choice, natural gas, and bi-fuel generators offer greatly extended runtimes, so you can protect your facilities for much longer periods of time during a crisis. These generators are also eco-friendly with fewer emissions compared to diesel so many businesses are making the switch. And Generac’s Bi-Fuel™ generators are the only ones fully integrated—and EPA compliant—straight from the factory. Your business could be a start-up, so while you want to make a smart investment in backup power, you also don’t want to buy more kWs than you need. Our innovative Modular Power Systems (MPS) allow you to start with a smaller kW generator and then “plug in and play” additional units as you grow. And those units can feature different fuel options. This gives you genset redundancy and scalability. Win-win. Your application may need larger alternators, sound-attenuated enclosures, or other specially engineered features, and we can deliver that. 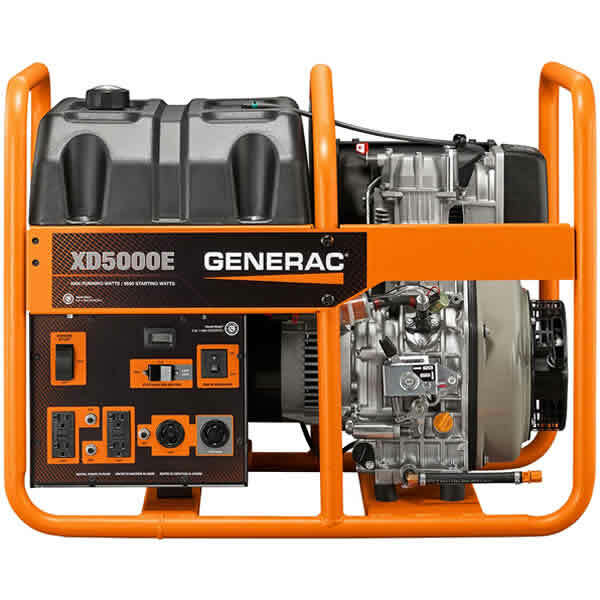 Generac’s configured generators are created to give you performance, reliability, and durability. Our Power Design Pro™ app can help you size your generators as well as recommend options that meet your design requirements. For tight spaces, look at compact gensets. On boats less than 30 feet in length, fitting in a genset could prove impossible. In these cases, a portable marine generator might be your only option. As mentioned, gensets need air. Yet gensets also need exhaust systems. If adding a unit to your boat, plan on having a separate exhaust rather than sharing the engines’ exhaust system. Thanks to insulating shields, isolation mounts, mufflers and underwater exhaust, marine generators are quieter than ever. Carbon monoxide (CO) is a concern, especially with gas generators. Yet companies such as Kohler (www.kohler.com) now make low-CO gasoline generators with lower emissions. The Kohler Low CO models feature self-monitoring systems that shut down the generator if CO builds to dangerous levels. Healthcare is changing rapidly, and hospital and clinic staff are working hard to improve patient outcomes while simultaneously controlling costs. It’s not a simple task, and it’s one that’s brought even more high-tech solutions to medical facilities. With this new technology comes an increased need for reliable, 24/7 backup power. Today, providers can access electronic health records instantly through a health information exchange (HIE). An HIE brings incredible convenience and, by providing key information quickly, can even improve outcomes during emergency situations. Yet it also increases the need to protect privacy and ensure HIPPA compliance. Big data has also become an essential part of the healthcare transformation, as hospitals and practices sort through clinical, claims and socioeconomic data to identify key trends and opportunities. Through data analytics, health systems are increasingly able to identify and target opportunities to help patients better manage chronic conditions and avoid hospital readmissions. While all this is happening behind the scenes, patients are noticing changes as well. Many are getting care from the comfort of home with telemedicine, and providers are even developing new virtual care centers to support this trend toward reaching more patients more efficiently. It’s a rapidly changing landscape, but one thread runs through it: technology. For today’s Healthcare facilities, power isn’t just about keeping the lights on and equipment running. It’s also about keeping connected. Redundancy is an essential design feature in a hospital setting to ensure operating rooms keep running without disruption, medications are safely preserved and environmental control systems continue to function and protect against the spread of disease. To prevent interruptions to the power supply, all components, including the emergency systems, are installed in duplicate with multiple generator sets. To comply with HIPPA and other regulations, electronic medical records and other key electronic data must be protected. If servers go down, even temporarily, sensitive data could be jeopardized. To keep the healthcare environment operating in a safe manner, environmental control systems regulate indoor air quality (IAQ), temperature, humidity, airborne organisms and air pressure. These systems must be up and running at all times, which can require significantly different backup power systems for a large hospital vs. a small satellite clinic. Healthcare facilities have power needs 24/7, so there’s no time to wait for a response team. They need a service team that can provide timely emergency recovery no matter where the power system is installed. Hospitals, clinics, pharmacies and long-term care facilities are already some of the most complex places for backup power. And they’re becoming even more high tech. Yet each facility has its own needs and requires a customized solution to protect the significant investments made in state-of-the-art equipment. Here are some considerations when discussing your facility’s unique needs. A power system is only as good as the parts that define it. KOHLER engineers every detail down to the last bolt. This isn’t your typical power system. A KOHLER® industrial power system is designed and manufactured with KOHLER components—including generators, transfer switches, paralleling switchgear and controllers. No matter how large or complex your job, everything will work together seamlessly. Designing power systems that meet requirements for the highest levels of uptime requires expert attention to system architecture and equipment redundancy. Getting the right combination of uninterrupted power supply and generator sets is crucial to meet your facility’s needs. Kohler power systems enable your facility to comply with NEC and NFPA requirements and meet Joint Commission (JCAHO) accreditation and certification. A reliable power system plays a major role in preventing environmental and health disasters. Redundancy is an essential design feature built into healthcare facilities of all sizes, with essential components duplicated in the event that one component fails. While a facility might install a single large generator to meet its power needs, paralleling two or more generators with paralleling switchgear offers practical benefits and advantages over a single-generator system. Generator sets should start providing backup power within seconds of a break in utility power supply, and transfer switches should provide seamless automatic switching between the electrical power from the utility and the backup power system.